Gerald Anderson, Piolo Pascual, and Cristine Reyes in Another Cool Episode of 'Gandang Gabi Vice' This Sunday! Another exciting new episode of the Sunday night comedy TV program called "Gandang Gabi Vice" is about to witness tonight! Three of the hottest and sexiest stars grace the second episode of this hit show. The Action Drama Prince, the Ultimate Heartthrob, and the Jewel of Romance are Vice Ganda's special guest. Gerald Anderson, Piolo Pascual, and Cristine Reyes will laugh out loud with Vice Ganda! 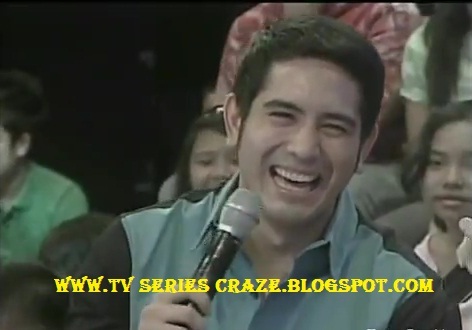 Gerald Anderson laughs the fullest when Vice interviews him. Piolo Pascual notices that Vice's zipper was opened during their cool interview. And Vice shows a picture of Sarah Geronimo to Cristine Reyes during her turn!